Specialising in creative/contemporary dance choreography, we work with a theme or a specific stimuli to create either an abstract or narrative dance piece with the main focus being on developing the childrens’ creativity and working with their ideas to choreograph a dance. Each choreography package is bespoke for the individual teacher and school. The length of time to create the piece, and the cost, will be agreed at the start. Please note that I have choreographed successful dance pieces for dance festivals in five hours (although extra rehearsals will be required to be delivered by teaching staff to be able to achieve a polished performance). Although we specialise in creative contemporary dance, we can also choreograph for any dance styles including street and break dance, musical theatre, Bollywood, African and Egyptian etc. Even with different styles of dance our main focus is on creativity. The choreographer will source and provide the music, plan the choreography process and create a finished dance performance. 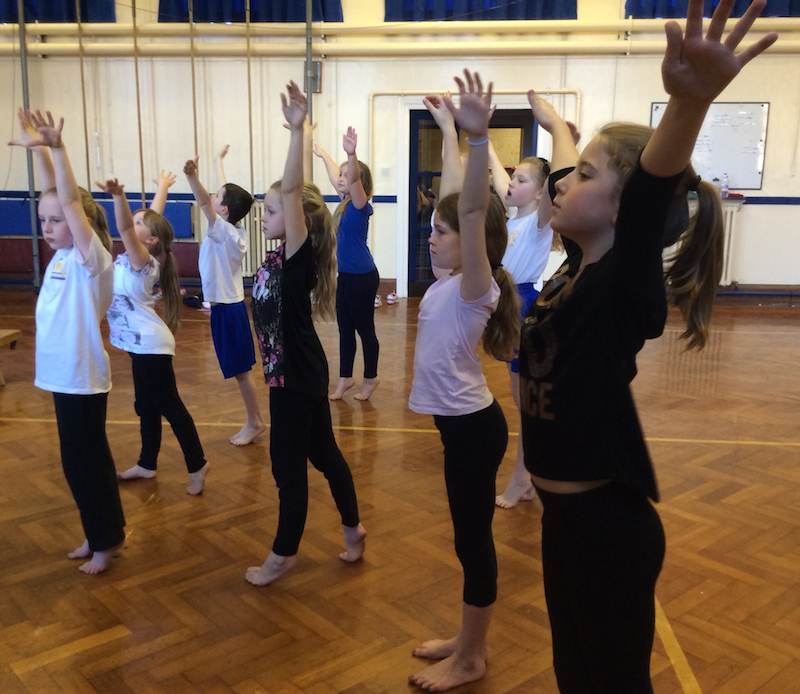 The choreographer will work with the children over an agreed amount of time to create a piece. A teacher may also be present at each choreography session and can work alongside the choreographer if they wish to gain ideas re the choreographic process for their own CPD. This package can be delivered in curriculum or extra curricular time. This package is only delivered by me and is the same as package 1, with the addition being that whilst choreographing the dance, I will also train the member of staff that I’m working with on the choreography processes. At the end of the project the member is left with a step-by-step choreography guide on the choreography process, a musical score of the dance (the dance written up with the music) and a copy of the music. Not only will this package ensure a high quality choreography piece, but the member of staff who has worked alongside me will gain the confidence to choreograph on his or her own dance piece in the future, with the support of all the given guidance material. An initial meeting will take place via email, telephone or Skype. The teacher will be able to share their ideas of what they would like for the choreography and I will be able to offer suggestions and guidance. I would then source and provide the music. A plan of how to choreograph the dance with clear instructions and set tasks for the pupils would then be provided along with a musical score (how the dance fits with the music). I would then be available to watch video clips of the choreography via email and give advice and feedback. Alternatively, a member of the team could also attend a choreography session to give advice and feedback in person. The maximum number of hours for planning, support and guidance would be agreed prior to the start of the project. This package is best suited to teaching staff who have received Advisory choreography, attended one of my Choreography CPD courses or are particularly confident in choreographing creative dance but would just like to receive some extra support and ideas. Prices depend upon the length of time taken. They are typically based on an hourly, half day or full day rate. Quotations are provided once the scope of work has been determined. There is no additional charge for the choreographer being present at the performance, event or festival.